In this episode, Jessica looks even more stunning than usual, in her role as congresswoman. 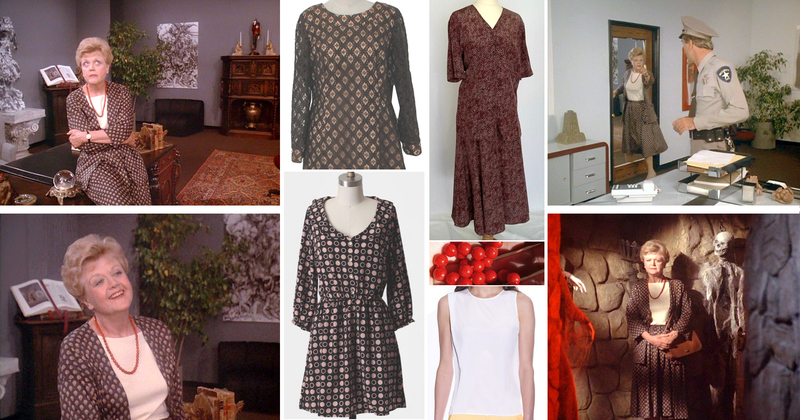 The first ensemble she sports at the Capitol is composed of a bright red shirt, like this pretty one by Mango, or this simple one by La Redoute, or – if you want to treat yourself, this short sleeved blouse by Ralph Lauren or this long sleeved one by Hugo Boss. The bright colour of the blouse is perfectly complemented by her usual string of pearls, like this silver one by John Lewis, this vintage necklace at a bargain price by Etsy seller The Fine Vintage, this freshwater one available at House of Fraser, or, of course, the real deal by Tiffany’s. Her two piece suit with pleated skirt could well be black, but to me looks more navvy blue, so my choices are still this 1990s wool suit by Etsy seller Lynda Tracy Allen, this 1980s navy suit by Etsy seller Leila’s Love, and this 1980s crepe jacket suit by Etsy seller Big Yellow Taxi Vintage. This vintage 50s suit by Etsy seller Alley Cats Vintage is also totally adorable. Jessica seems to be wearing brown court shoes, like these simple ones by Kiomi, or maybe these by Bata, or these by Bagatt, matching her trench coat and briefcase, which is similar to this gorgeous vintage Samsonite by Etsy seller The Retro Beehive. It is proving a real challenge to find something similar, but I am working on it! P.S. Londoners… you know about THIS, right? If you need to look extra elegant, monochromatic outfits are the way to go, especially if you are choosing the darker shades of your favourite colour. If someone patronises you, just politely put them back in their place, all whilst beaming with the friendliest smile you have! When the congressman representing Maine suddenly dies of a heart attack, someone needs to fill his vacant seat in Washington for a short period of time, until a long-term successor is found. Obviously the choice is Jessica, who takes this role very seriously and flies to Washington to serve her country. 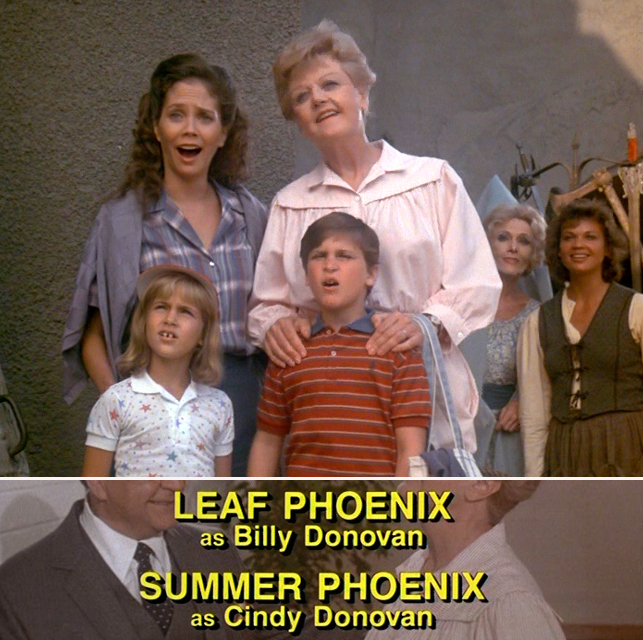 I really loved this episode because it kept me guessing the identity of the murderer until the very end. 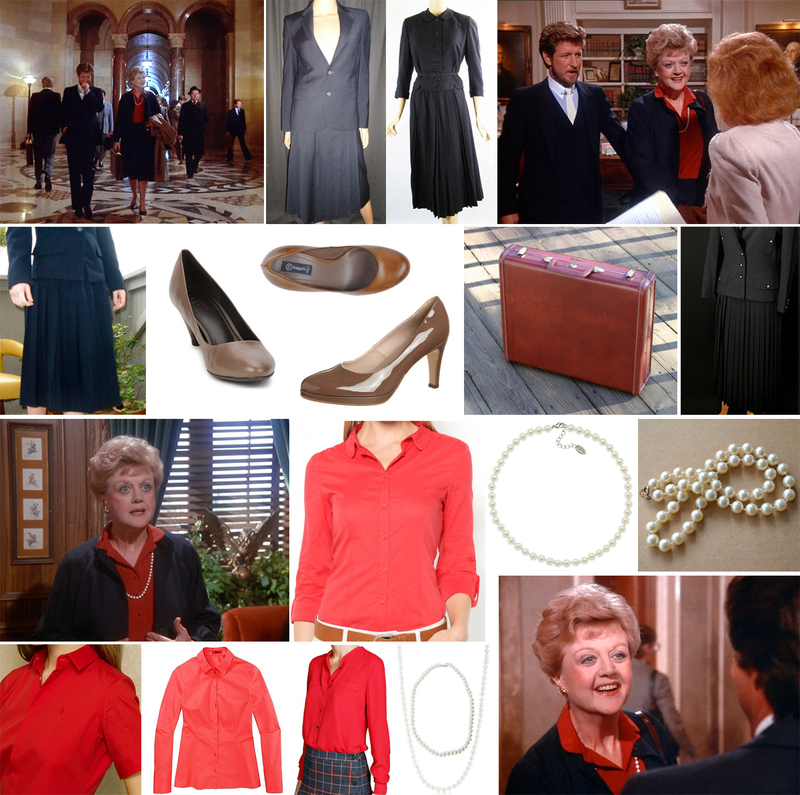 Also, Jessica’s wardrobe is gorgeous: she obviously needs to dress to impress, for her role as congresswoman, and she is absolutely flawless in every scene! 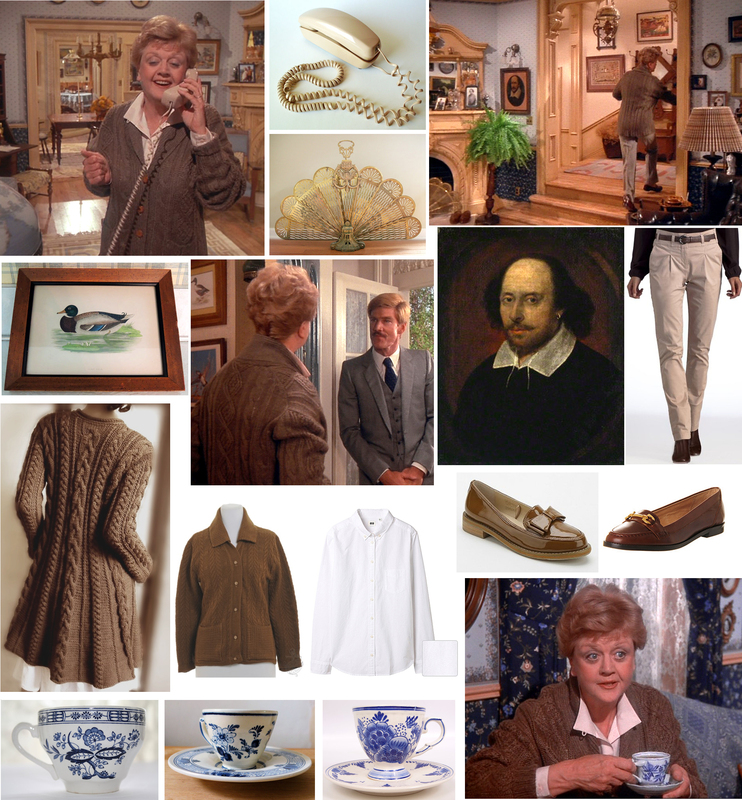 At the beginning of this episode, however, Jessica is still in Cabot Cove, at home, and even if not as glamorous as later on, she still looks lovely wearing a simple brown cable-knit cardigan (the same she wore in Episode 4), over a white shirt, beige trousers and flat brown shoes. Regarding the cardigan, my choice is this beautiful hand knit Merino wool sweater by Etsy artisan Pilland, or this vintage cardigan on sale at Beyond Retro. A simple white shirt (like this one by Uniqlo), a pair of beige trousers (like these by La Redoute), and some simple brown loafers (like these classic ones by Office, or these pretty ones available at Urban Outfitters) complete her look. Every time Jessica’s house is shown, no matter how briefly, I have fun in looking at the décor and trying to find some similar pieces. The first thing that attracted my attention is the portrait that seems to be of William Shakespeare hanging from her wall. If you want your very own Bard looking at you enigmatically, you can buy a print from the National Portrait Gallery website, or from Art.com. On her walls she also has pictures of birds, and I personally like this vintage hand-coloured lithography by Etsy seller Blue Barn Collectibles. In front of her fireplace, Jessica has a lovely peacock screen, similar to this beautiful art nouveau piece sold by Etsy seller Tatter and Fray. I am not sure about the kind of phone that Jessica is using, but it looks very similar to this vintage Western Electric Trimiline Rotary Phone, sold by Etsy seller Poor Little Robin. And when it comes to vintage teacups, Etsy is an Aladdin’s cave of wonders: I love this Delft blue teacup made in Holland and sold by Etsy seller Camp Honeybelle, this Blue Onion design teacup made in England and sold by Etsy seller This Vintage Heart, and this other Dutch Delft teacup by Etsy seller Le Vintage Galleria. The same outfits can be worn time and time again, as long as you change their vibe with the help of different accessories. As said by Jessica herself: ‘drinking does not solve anything’. 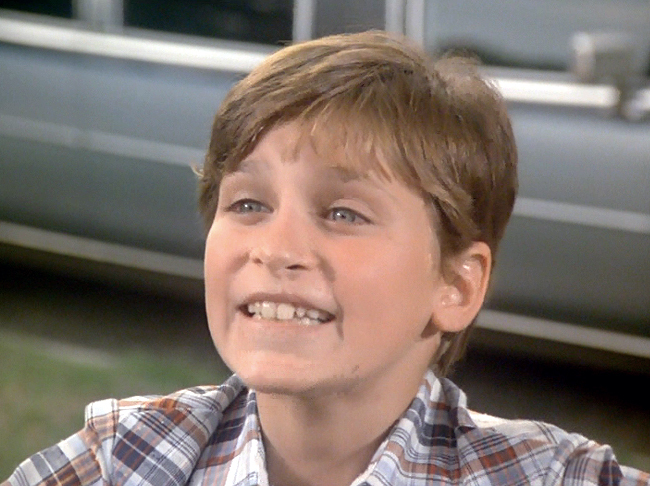 Jessica is tricked by one of her editor’s assistants into meeting a famous hypnotist. When he gets killed in a sealed room and the only suspects can’t remember anything of what has just happened, she is the only one who can solve the riddle! 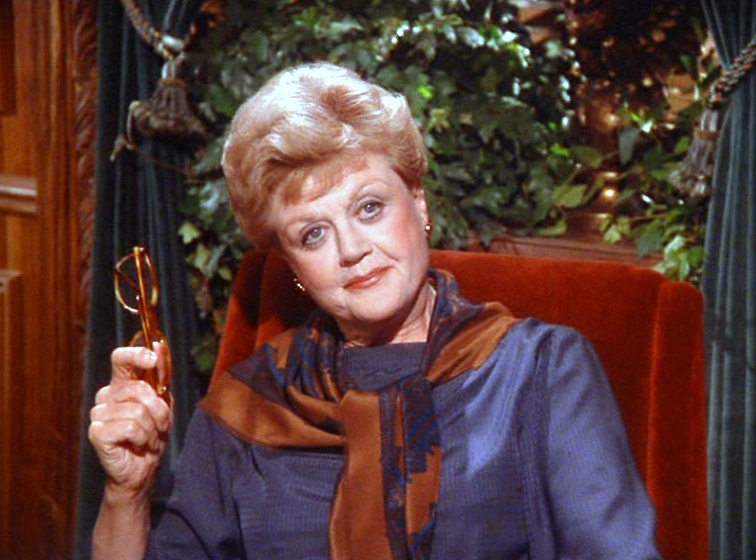 Being this a ‘locked room mystery’, Jessica wears only three outfits throughout the whole episode. 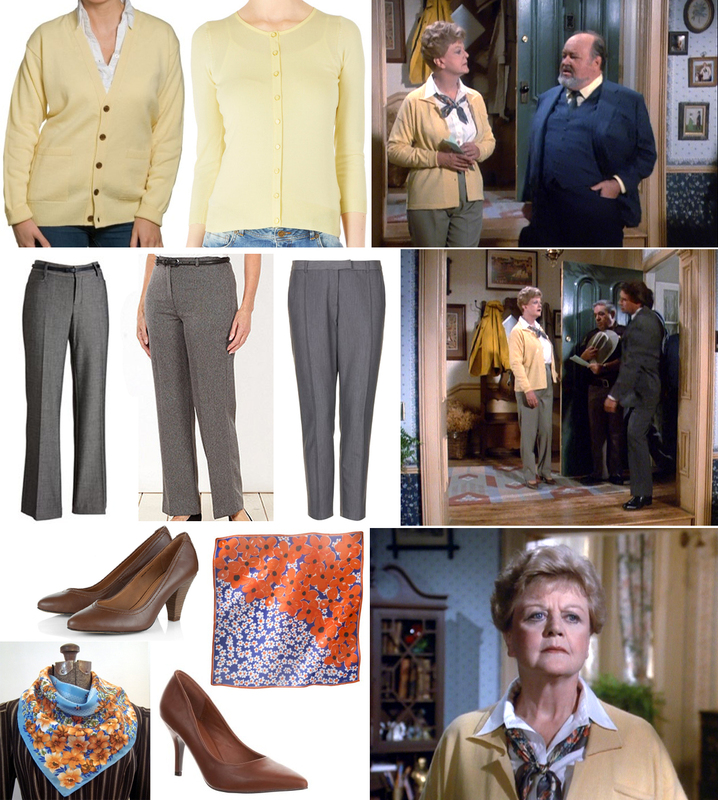 At the beginning Jessica is seen with a lovely beige ensemble brightened up by a rainbow coloured scarf and the red necklace she wore in the previous episode. We already saw her wearing a similar shirt, but khaki. This time she goes for a lighter hue, worn over what seems to be a pale yellow (or off-white?) camisole. I like this cotton shirt available at Yoox. this linen one by La Redoute, and this shirt-blouse by Mango. For the camisole, I found this yellow one by Top Shop and this one, available in both yellow and light blush at The Limited. Jessica’s outfit is embellished by a thin and slightly darker belt. I like this minimal khaki belt available at Needsupply, or this metallic belt by Uniqlo. Plaid/Checkered skirts seem to be popping out everywhere lately, so I am sure finding something similar to the one Jessica is wearing won’t be too difficult. I personally like this vintage 70s skirt by Etsy seller Othilia, and this tartan one by Asos. If you feel like going mini instead, you can choose this lovely high-waisted vintage skirt by Etsy seller Crowning Vintage Store. Jessica’s scarf has a very colourful squared pattern, and on a similar vibe I found this lovely handmade scarf by Etsy designer Pat’s Crafts, this cheerful vintage scarf by Etsy seller Recapture Vintage, and this lightweight scarf by M&S. If you are interested in Jessica’s Coach bag, you might want to go back to Episode 3. For her second outfit, Jessica injects a bit more colour with a lovely pink and blue ensemble. Many high street stores, such Asos, La Redoute and Laura Ashley offer pretty and affordable pink shirts. 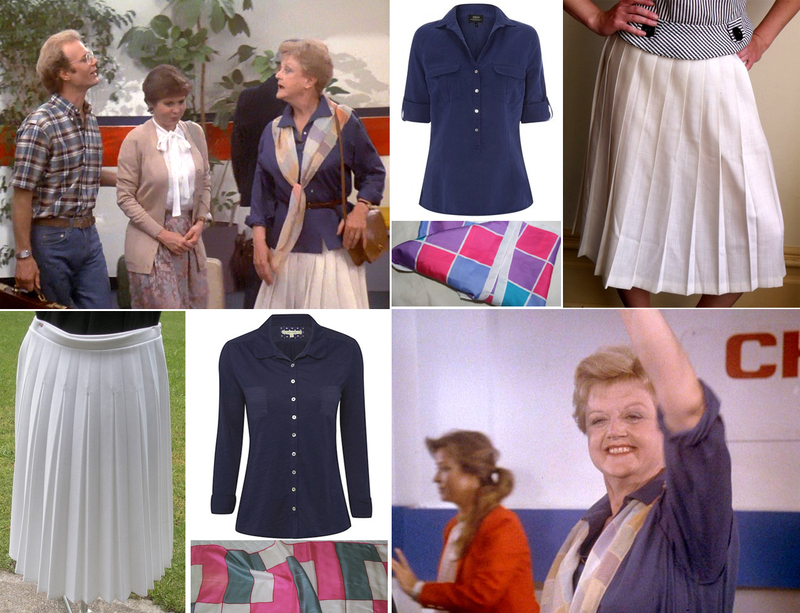 We have already seen this combination of blue wrap-around skirt and blue canvas shoes in previous episodes. Pretty canvas flats can be found at Barratts, Cloggs and Debenhams, whilst Etsy is a fantastic resource for wrap skirts, like this beautiful vintage handmade skirt by Etsy seller Jump The Moon Vintage. And if you are like me and totally love Diane Von Furstenberg, this original vintage DVF skirt by Etsy seller Fidget Finds is a real bargain. The floral scarf ties in the blue and the pink in a lovely two-tones pattern. I like this pretty print scarf at Yesstyle, and this beautiful handmade silk scarf by Etsy designer Cyndy Kempken. Jessica’s bag (as already seen in Episode 4) has been identified by Michelle as a L.L. Bean tote bag, originally made in Maine. A detail I had not seen the last time I wrote about this bag is that she had her initials embroidered on it: JBF (Jessica Beatrice Fletcher)! Still today L.L. Bean gives you the chance to add your monograms on your purchases. 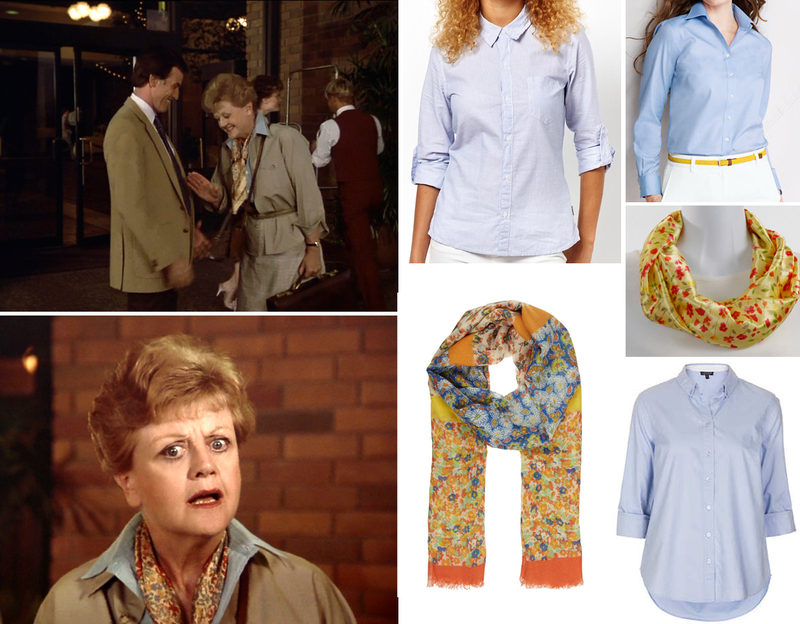 In the last scene Jessica wears again the first outfit, but adds her beloved light blue shirt and changes the scarf to a more autumnal one. Pretty blue shirts are available everywhere, such as at TopShop, Asos or Land’s End. For Jessica’s scarf, I love this handmade infinity scarf by Etsy designer Neck Styles, and this floral one available at Zalando. One night at the ballet. Even if you like to colour-coordinate your whole outfit, don’t be afraid to inject a splash of colour choosing one single item in a complete different hue. If you are trying to hide something (or someone) placing it in plain sight could be the most successful solution. Jessica is invited to see a Russian ballet in Boston, but what seemed destined to be just a fun night out with an old friend turns out to be a very complicated ‘Cold War’ situation! 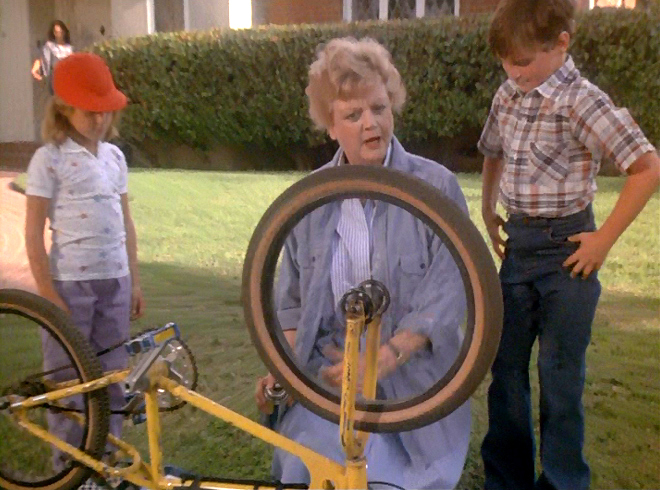 The episode opens with Jessica serving one of her famous pies to her friend Ethan. She is wearing a light yellow shirt and a blue stiped apron, over what seem to be a pair of simple jeans. It is very easy to find a plain yellow shirt on the high street, like this linen long-sleeved shirt available at La Redoute, but I also picked a couple of modern takes on the same style: I really like this linen-cotton shirt by Banana Republic and this clever ‘shirt-style’ t-shirt available at La Redoute. 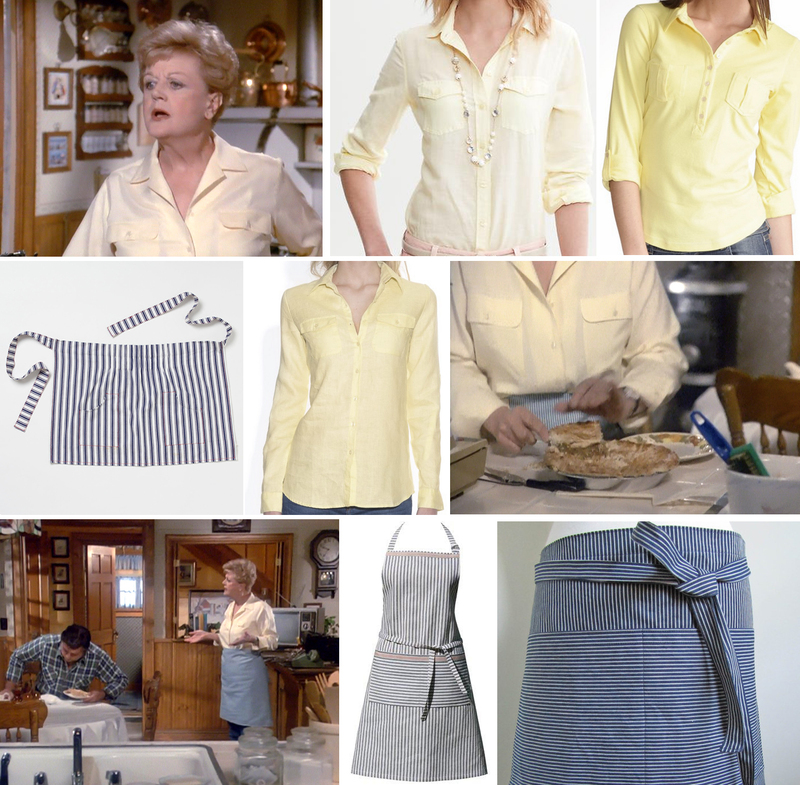 For the apron, on Etsy I found this beautiful hand-made half denim apron by Etsy artisan Attitude&Apron, but I also really like this classic apron by Alison Capeling, and this lovely half apron available at Terrain. To attend the ballet, Jessica chooses an elegant grey coat, worn over a black dress and embellished by a violet striped scarf. Jessica’s coat looks like tweed: it is very classic in its shape, its ‘herringbone’ pattern and overall design, so it is easy to find a nice, affordable one in second hand or vintage shops, like this beige one or this cream and black one, both available at Rokit or this black one, sold by Etsy shop Gabriella’s Treasures, and this mauve grey by Etsy seller Retro Momo. I really like Jessica’s violet and white striped scarf, and I found a few scarves playing with the same colour scheme, like this ‘Aztec’ scarf, this whimsical striped one and this classic geometric one, all available at Nordstrom. 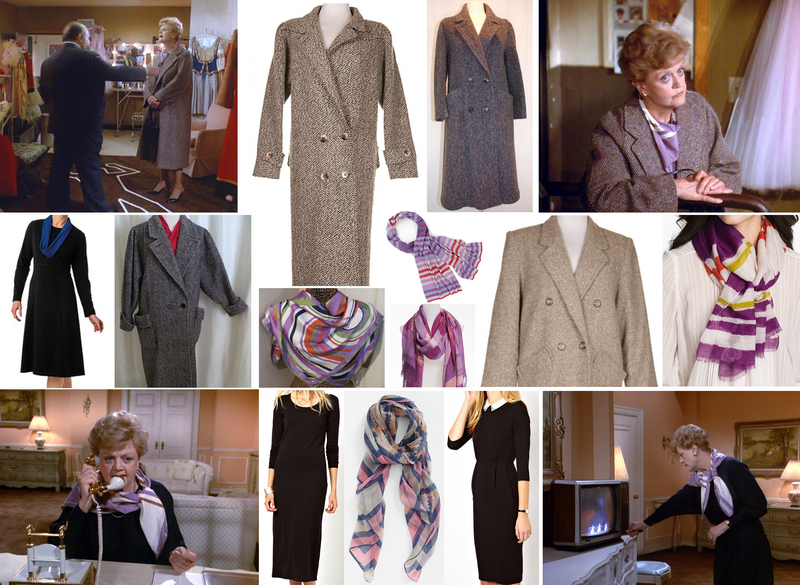 I also like this cashmere one by M&S and this vintage Egon Furstenberg vintage scarf by Etsy seller Totally Scarves. Under her lovely coat, Jessica goes for a classy black long sleeved dress, like this pretty one by Asos and this simple one sold on Amazon. I also like this one, still by Asos, because of the embellished collar. Accessories-wise, Jessica does not wear earrings often, so the fact that she does in this occasion attracted my attention. As far as I can tell, her golden earrings have a ‘peanut’ like shape, which has proved nearly impossible to find. Somehow on the same vibe, however, I quite like these simple vintage Anne Klein studs, available at Rokit, these gorgeous 1980s vintage button earrings by Etsy seller Ecolibrio Vintage, these lovely vintage stud earrings by Etsy seller Designs By Ruth, and these unique hand-made gold post earrings by Etsy designer Jewelry by Michael. She also wears what seems to be a grey pearls necklace, like this one available at Debenhams or this one by Etsy designer Dahlia Jewels. Jessica completes the outfit with a black evening bag (I like this simple one from John Lewis – which I coincidentally bought not too long ago! 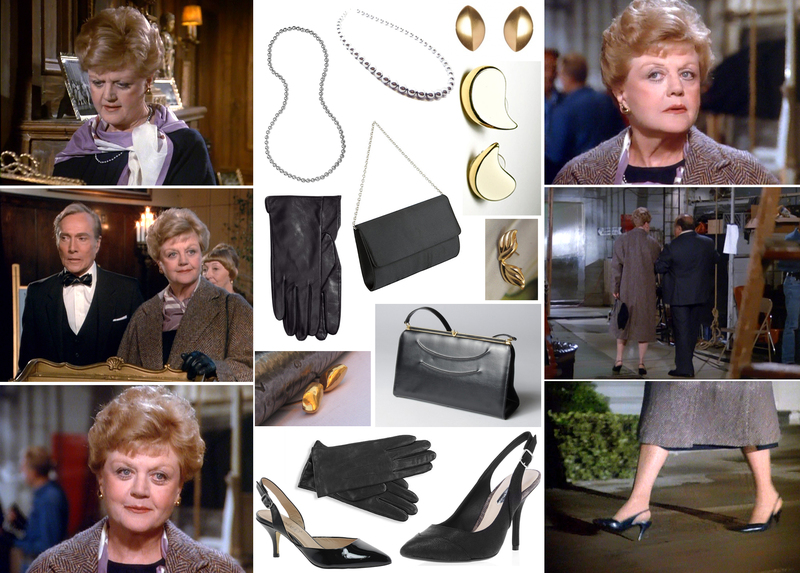 – and this gorgeous vintage one from Beyond Retro), a pair of cute black slingback like these from Asos or these from Dorothy Perkins, and a pair of elegant black leather gloves like these from H&M or these from M&S. To entertain friends at home, Jessica goes for a simple and elegant monochromatic outfit. 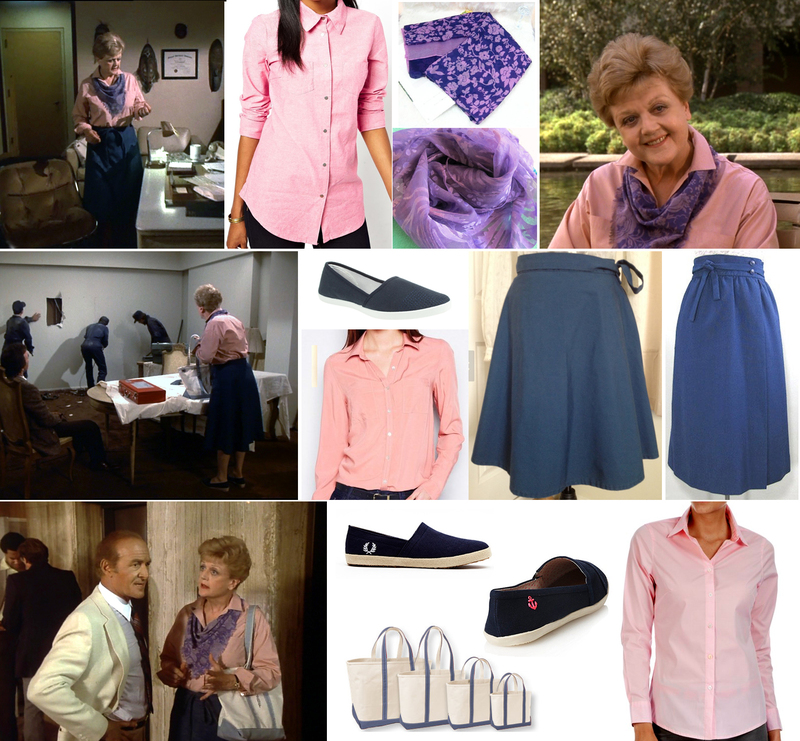 Jessica loves her blue shirt and has worn it countless times throughout the series! This time she pairs it with a long vest, similar to this one by American Apparel or this one on sale on Yoox, and a simple pencil skirt, like this one now on sale at House of Frasers. Even if the image is not very clear, I like to think that Jessica injected a bit of colour wearing court shoes in a lovely plum colour, like these on sale at Daniel Footwear or these available at Rubber Sole. Grey or beige are not the first colours that would come to my mind if I think about a pretty printed scarf, but once again Jessica proved me wrong! On a similar vibe, I like this peacock snoop and this quirky ‘insects’ scarf, both available at Zalando, this pretty butterflies scarf by Oliver Bonas, this lovely vintage square scarf by Etsy seller Majilly, and this beautiful vintage Anne Fogarty scarf by Etsy seller MilesChandler. Even when wearing plain grey trousers, Jessica manages to add a girly vibe to her outfit. Over a simple white shirt, Jessica wears a sheer yellow cardigan. I like this classic unisex lemon v-neck by Woolovers and this pretty woven trim cardigan now on sale at Warehouse. 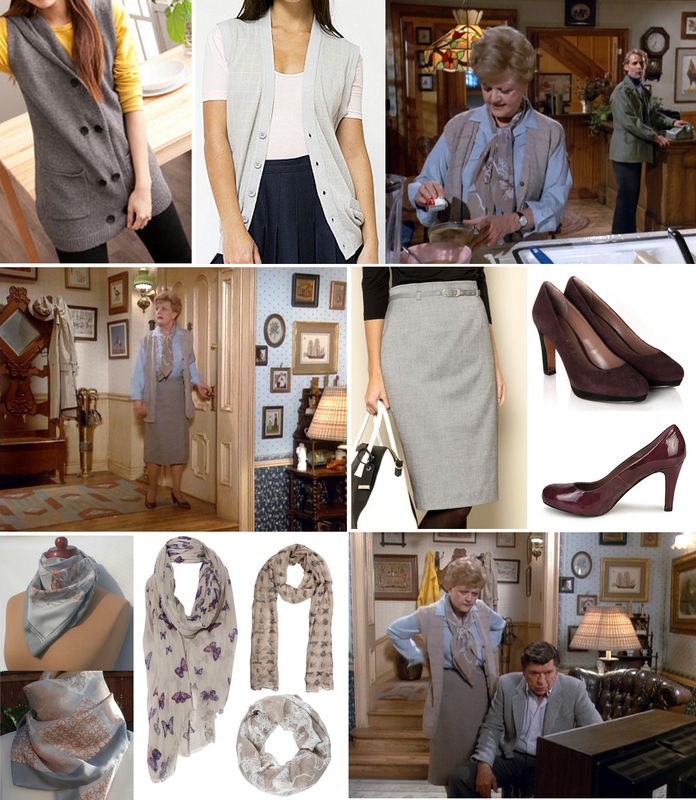 Her grey simple trousers are easy to find on the high street, such for instance at Kohls, Debenhams or Top Shop. Jessica’s shoes are brown and slightly pointed, like this classic heels available at Zalando or these faux leather court shoes by Esprit. 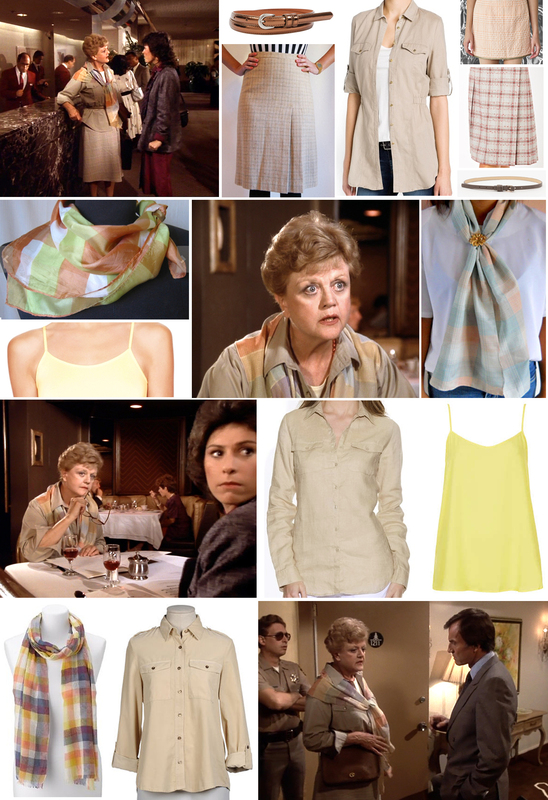 As a final touch, her scarf looks like the same we have seen in this episode, but since the scarves I picked last time are now sold out, I found this pretty Vera Neumann scarf at Target, and this lovely Japanese vintage scarf by Etsy seller Aesthetikara. 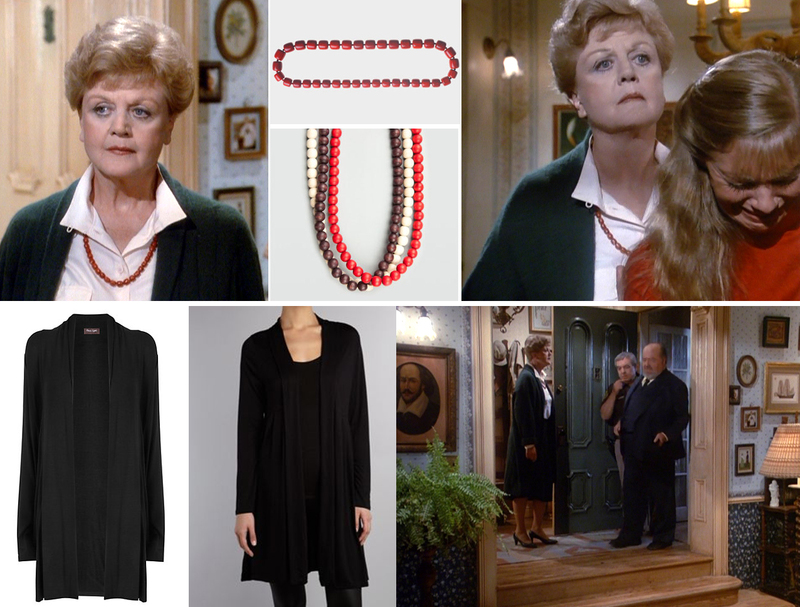 Last but not least, for the slightly sombre ending of this episode Jessica wears a black and white outfit, brightened by a red beads necklace. Over her white shirt and pencil black skirt, Jessica wears a very long black cardigan, similar to this one now on sale at House of Frasers or this one available at John Lewis. Her red bead necklace is very simple and yet gives a very much needed bright accent to her look. I like this cracked bead strand by Toast and this red combo pack of three necklaces by Tilly’s.